If communications dwindled to a trickle or brought challenges in March, chalk it up to Mercury retrograde, which put most of the month in slow motion. Now Mercury is moving forward once again, and with the Sun in “I’m in charge!” Aries at the start of April, you may want to push ahead with all the pent up energy you couldn’t release easily last month. You’ll do yourself a favor, though, if you wait just a little longer! From April 1 through 5, the Moon will be at the close of her monthly cycle as she moves through the balsamic Moon phase. That’s the quietest, most dreamy and mysterious of all the Moon’s many phases – and the best for meditation and introspection. If you delay until the new Moon of April 5, you’ll find that whatever you start or launch meets with greater success and simply feels like it’s flowing. 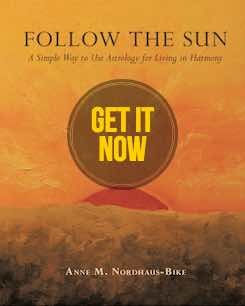 With the Sun moving through Aries, it’s time to focus on home and family. If you want to remodel or redecorate, make your move April 5 or during the two weeks following. Interview contractors or decorators or hire painters or carpenters. If you want to move, get referrals for real estate professionals and start getting your house ready to put on the market. You also can leverage this energy to invest in land or rental properties. This period also will allow you to improve family life, perhaps by taking up a sport or hobby you all can enjoy together. If you have elderly parents who need help, or if you want to become closer to older relatives, now’s your chance for progress. Plan a dinner party, take your parents to lunch, and spend more time at home in April. On April 20, the Sun leaves Aries for sensual, earthy Taurus. Take this cue to shift gears and focus on romance, children, and creativity. If you’re in a relationship, your bond could become red hot. Go to parties, enjoy dates, and explore intimacy in novel ways. If you want to date, ask friends to set you up or join a dating service. Talk to everyone you encounter, wherever you go, as your new love could be someone you meet by chance this month. This Taurus period also favors children (including conception), so if you want a baby or already have children, put your energy into this area of your life. If you have artistic or other talents, this time will bring messages from your muse, so save some of your energies for your own projects and tune in to inspiration. The full Moon on April 19 will be the second in a row in partnership and leadership oriented Libra. Use clues from that period to guide you this time. You may learn important news related to your career, especially if you’re looking to advance or earn recognition. Your boss or mentor may surprise you with a management opportunity or creative project, or you may realize you want to team with a business partner or start a joint venture. Pay attention to any information revealed during this time. 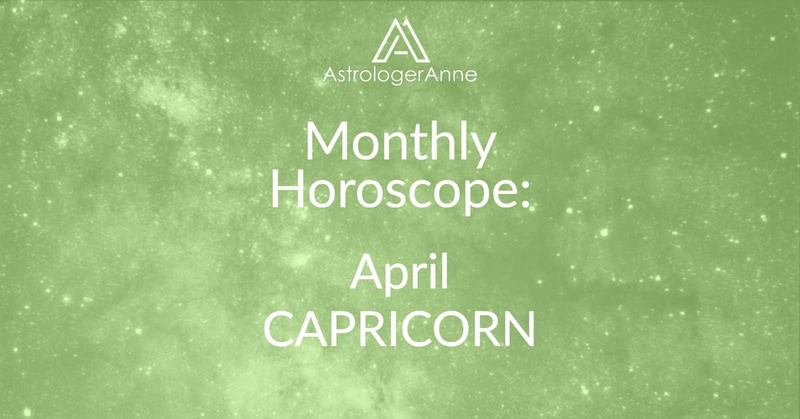 Have a happy April, Capricorn! I wish you a wonderful month!